Halcyon Proteins manufactures Teriyaki Sauce in Melbourne. 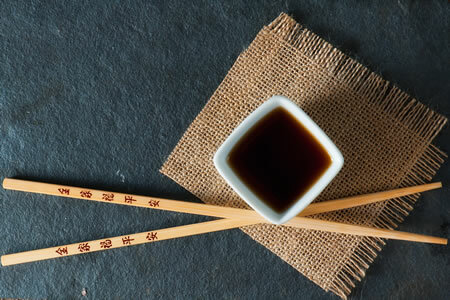 Teriyaki Sauce is a traditional Japanese style sauce produced by selected cooking of naturally fermented soy sauce blended with specialty ingredients. It is a reddish brown coloured liquid with a sweet, umami, savoury flavour and fragrant aroma. Our Teriyaki Sauce contains no added MSG, no preservatives or no additives. We can customize the Teriyaki sauce flavour to meet your specific requirements. These speciality ingredients will be especially useful in snack foods, meat seasonings, prepared meals, bakery, soups, sauces, dipping sauce and salad dressings. These products are Kosher certified.